dear friends! 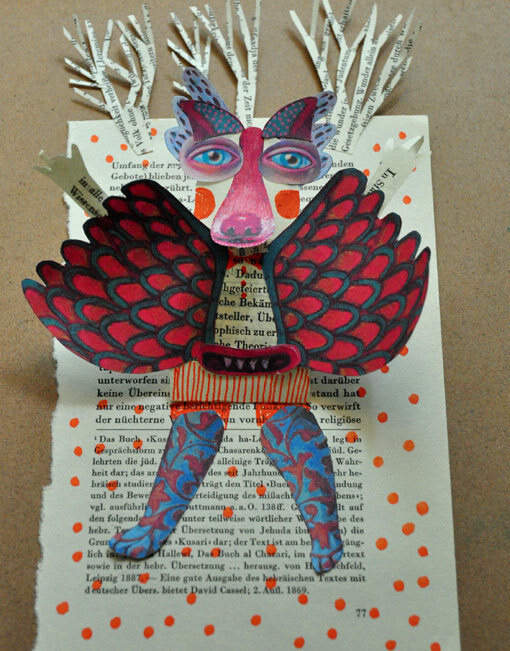 I’ve prepared a master-class «Little Monsters’ Garden» for the upcoming Tel Aviv event «Family Paint» 30/9-3/10 — where you can make your own creatures from old book papers and parts of my paintings. Hope to see you there — with kids! I will think about the name later :) Monsters! Monsters! Monsters!